This post shows you how to rip protected DVD to play with iTunes. If you have a DVD that you want to watch on your computer and the only video player you have is iTunes, check out how to rip Protected DVD to iTunes in the content below. 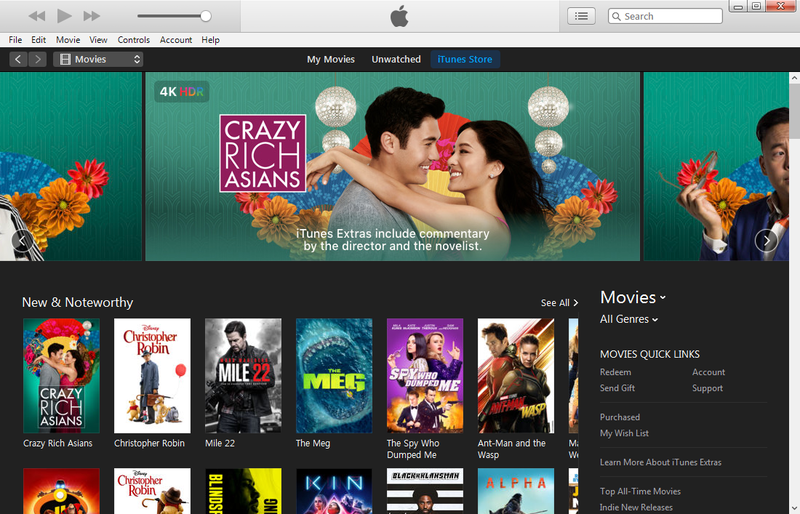 iTunes is the combination of a music player, multimedia content manager, device manager and video player and perhaps more. You can listen to music, watch the latest movies, sync data between different iOS devices with it. Many people use it as a video player as well. But it only supports limited video formats and it can’t be used as a DVD player to play DVDs. But if iTunes is the only video player you use, you can try ripping the DVD to an iTunes-compatible format. 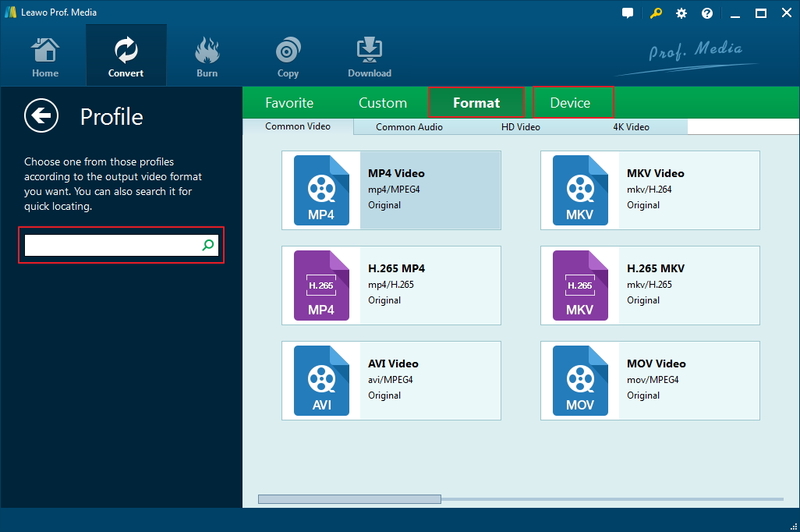 The formats supported by iTunes are MPEG-4 videos with file extensions of .mp4, .m4v or .mov with H.264 compression. Some DVDs will have copy protection to prevent you from ripping the disc. In such case, you are going to need a DVD ripper program that’s capable of removing the DVD copy protection. With that in mind, you can check out Leawo DVD Ripper. It’s able to decrypt copy-protected DVDs and convert them to all kinds of formats you can think of. You can easily convert the protected DVD to a format that’s supported by iTunes with it. Learn how to rip protected DVD to iTunes in below. Note: Don’t be surprised when you find that the program you install is Prof.Media as Leawo DVD Ripper is inside it. 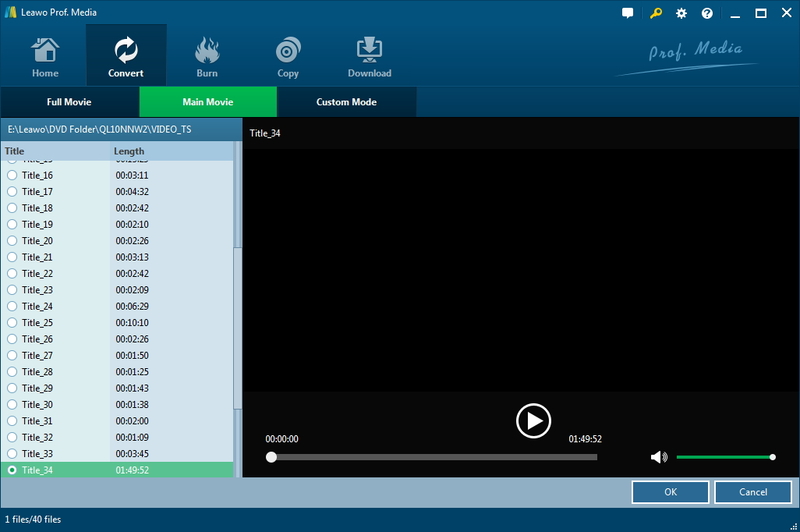 The Leawo Prof.Media is a software suite that combines several of Leawo’s products and the DVD Ripper is one of the components. 1. On your computer, start Prof.Media to go into the program’s main interface. There are 8 tabs on it representing 8 different modules. The fourth button on the top row of tabs is the shortcut to the DVD Ripper. Hit the button to load DVD Ripper. 2. Place the DVD disc in your optical drive and wait for the computer to recognize it. Then you can open the DVD folder and drag it to the DVD Ripper’s interface to add the source media files in it to DVD Ripper. 3. A typical DVD disc usually has multiple videos in it. To choose different videos, you can use the 3 buttons in the upper-left of the interface: Full Movie, Main Movie and Custom Mode. Full Movie means the whole disc, if you choose this option, the program will rip and convert all the videos in the disc. Main Movie means the longest video in the disc, which is usually the movie itself. Custom Mode is pretty self-explanatory, you can use it to choose the video you need manually. All videos are listed on the left. On the right side you have the video player to play the videos in the disc. Click OK below the video player to proceed to the next step. 4. The program will have the videos you chose listed on the main interface. Now you need to select a suitable format for them. 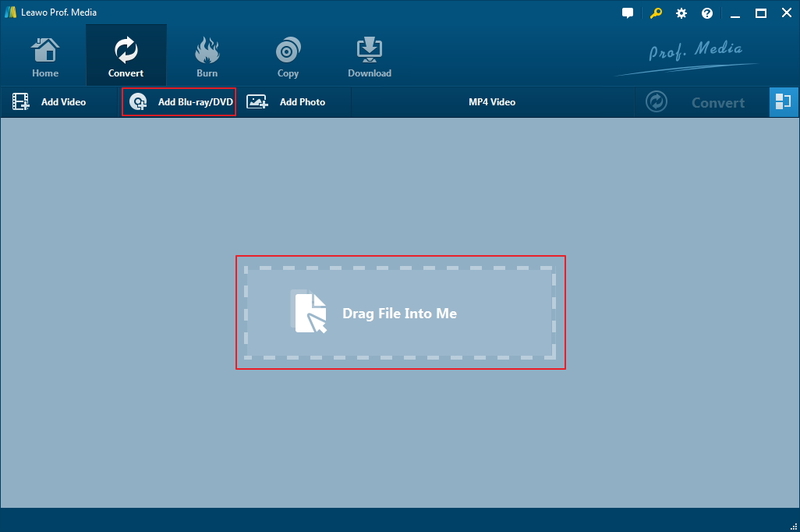 Click the button labeled MP4 video and click Change to open the Profile panel. The default output format is MP4, which is why the button is labeled MP4 video. But you can choose other MP4 profiles like HD MP4 or even 4K if you want. But as we are converting the DVD to play with iTunes, so the format we need is MP4 video. Afterwards, the MP4 label on the button will be changed to the new format you chose. Click on this button again and there’s an Edit button on the left. Hit the Edit button for more detailed settings about the format you just chose. If the video codec isn’t H.264 by default, click on the Video Codec drop-down menu and select H.264 so that the output video would be playable on iTunes. After choosing the right video codec, click OK to save the changes. 5. There’s a Convert button in the upper-right corner, click on it to display a sidebar on the right side. On it are the output directory and another Convert button. All that’s left to do is set the output path and click the Convert button on it to start ripping DVD to MP4. 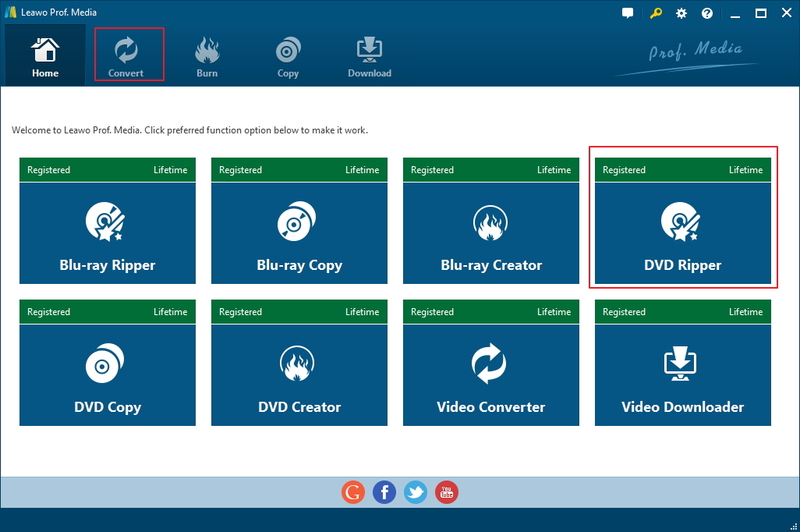 Here’s the video tutorial to show you how to rip Blu-ray/DVD to common video with Leawo DVD Ripper. After having the Leawo DVD Ripper, it’s easy to rip copy protected DVD to MP4 for playback using iTunes. With Leawo DVD Ripper for Mac, you would be able to watch the DVD movie on other Apple devices. For example, if you want, you can rip DVD to play on your Apple TV, iPhone or iPad. After knowing how to rip a copy protected DVD, you can now set about ripping your DVD coolection. But if the reason why you want to convert protected DVD to MP4 is to watch it on a Mac computer, you can also try just installing a DVD player program on your Mac. Here I would recommend to you Leawo Blu-ray Player. It’s a powerful Blu-ray/DVD and video player that can play all kinds of videos on a Mac. And it only takes up about 5% of your CPU’s processing power for playing Blu-rays, so when you use it to play DVD, you will still be able to do other things without the DVD playback slowing you down. ☉ 100% free movie player for Mac users to play Ultra HD 4K, 1080P and 720P video. ☉ Free Blu-ray/DVD disc player to play 4K Blu-ray disc and 1080P Blu-ray disc, regardless of disc protection and region code. ☉ Adjust subtitles, video and audio during video playback.